We are pleased to announce that Gene Smith has accepted the position of Sales Director for the Northwest Territory (Region O). Gene will report to the Vice President of Sales and Engineering and will have sales responsibility for the states of Wisconsin, Minnesota, Iowa, North and South Dakota, Montana, Wyoming, Idaho, Washington, Oregon, and Alaska, as well as the provinces of Manitoba, Saskatchewan, Alberta, and British Columbia in Canada. He will continue to work from the Chatfield, Minnesota location. Gene attended Rochester Community and Technical College in Rochester, MN. He began his career with Strongwell in 1979 and has held several different key leadership positions within the company. Gene’s 39 years of composite experience have been in Manufacturing Departmental Management, Shipping & Logistics Manager, Production Scheduling, Purchasing, Customer Service Manager, Custom Products Manager and a member of the Chatfield, MN Management Staff team. Gene is very familiar with Strongwell capabilities, locations, products, personnel and has been a valued inside sales resource for the sales force for many years. 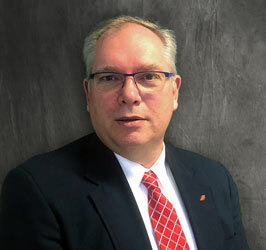 His prior experience and knowledge of technical sales of OEM products, proprietary products, facilities and personnel will be beneficial for Strongwell and Strongwell customers in his new role as Sales Director for the Northwest Region. Gene and his wife Ann reside in Preston, MN. They have three boys (Brad, Michael and Kyle) and one daughter-in-law (Laura). He enjoys spending time with his family, leadership roles within his church, volunteering for community and charitable organizations, golf, fishing, videography and attending most any kind of sporting events. Please join us in congratulating and supporting Gene in his new role.